Bunded oil tanks come in many shapes and sizes, but another key criteria you need to think about is what they’re made of. This material can either be steel or plastic, with the choice you make very much dependent on your requirements. So, what are the main differences between the two materials? As you might imagine, both have their various advantages over the other so, to help you decide, we are going to look at each of these in more detail. Steel is more resilient to extreme weather and is able to endure more accidental damage. It also offers a longer lifespan than plastic, as it is much more durable. With the recent rise in oil theft, steel oil tanks are a better option when it comes to security. This is because steel is a stronger material, making it more difficult for thieves to syphon oil from. They are also heavier so are more difficult to remove. Steel tanks are a better option for larger businesses as they can hold a lot more oil than plastic options. This can allow you to take advantage of cheaper oil prices, as you’ll be able to bulk buy more of it. Steel oil tanks are much heavier than their plastic counterparts which, while might be advantageous against thieves, isn’t always practical. Plastic oil tanks are much more lightweight and manoeuvrable, making them easier to transport and move if required. Unlike steel, plastic doesn’t rust, so plastic oil tanks don’t develop clogged filters over time. They also don’t require repainting to keep them fresh and rust-free, like you would need to do with a steel oil tank. Due to the nature of plastic, most plastic oil tanks are whole and unlikely to split. They are also able to regain their natural shape in the event of damage or adverse weather, making them less prone to oil spills. The tank you choose to buy will largely depend on your needs. If you own a business and are more concerned about security, then a steel tank is likely the better bet. Whereas, if you are looking for an oil tank that you can take with you wherever you go, then a plastic tank is more practical. Still feeling stuck? Feel free to contact us if you would like more advice. Heating oil or natural gas: which is right for you? In February we have already seen some examples of extreme weather sweeping across the UK. While it hasn’t been anywhere near as a powerful as the ‘polar vortex’ which hit America and caused temperatures to drop to as low as -30C – the snow and winter weather has caused significant disruption. And as temperatures plummet, our fuel costs increase as we all look to heat our homes. This has led to many people looking into the possibility of having either a domestic oil tank or LPG gas installed. Before you do, you need to understand the differences between the two options. There has been a belief for a long time that oil furnaces are not as efficient as gas boilers – but this actually arises from a misconception. It was common for system to run without proper insulation which made them far less efficient. Modern heating systems with a sufficient level of insulation will make huge improvements in efficiency. Additionally, heating oil actually burns a lot hotter than natural gas which means that the rooms being heated heat up faster and use less fuel to do so. Additionally, heating oil creates far less condensation that natural gas, so an oil boiler will typically last for much longer than an equivalent gas boiler. Conventional wisdom says that natural gas is generally cheaper than heating oil – however, it is important to look below the surface to understand the truth. Having a private oil supply means that you are in complete control of how much oil you use. It is also worth pointing out that the price of oil fluctuates to it is a good idea to buy an excess of oil when the price is cheap. It is also worth noting both that oil burns more efficiently than gas, and that homeowners are generally more carefully with fuel that they are managing themselves. So, it could be the case that switch over to oil actually makes you save money because you are managing your usage closely. 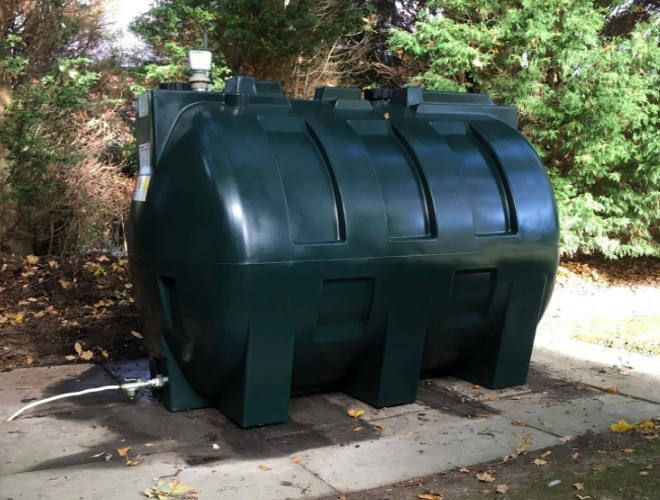 Ultimately you are the only person who can decide whether a domestic heating oil tank is right for you – if you would like more assistance and information on having an oil tank installed at your property, please get in contact with the team at SG Tanks today. You can call us directly on 01903 856403 to speak to an experienced member of staff. Happy New Year! 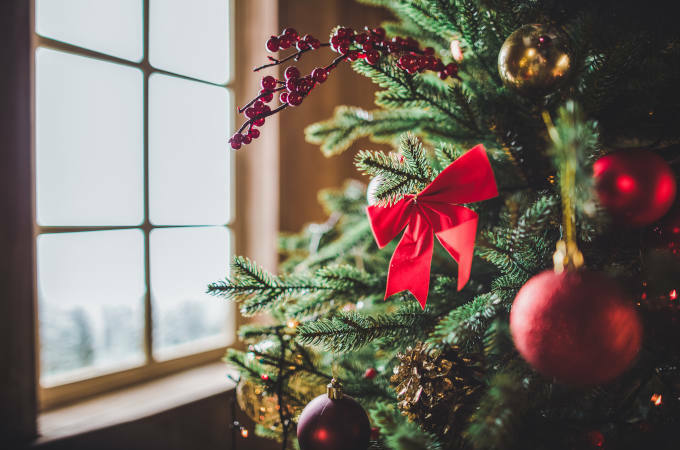 We hope our customers and readers had a wonderful Christmas break and are ready for a busy 2019 – we know that we are. The fresh year seems like a good idea to remind our readers about what exactly it is we do, and why we believe that we’re the team to help with any oil storage tank needs for homes and businesses across the South East. 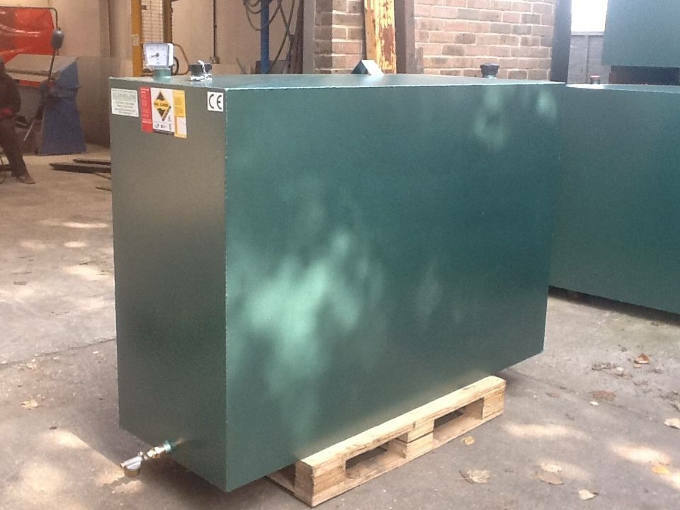 At SG Tanks, we supply oil storage tanks – both plastic tanks from DESO, and our own steel tanks that are manufactured in-house. 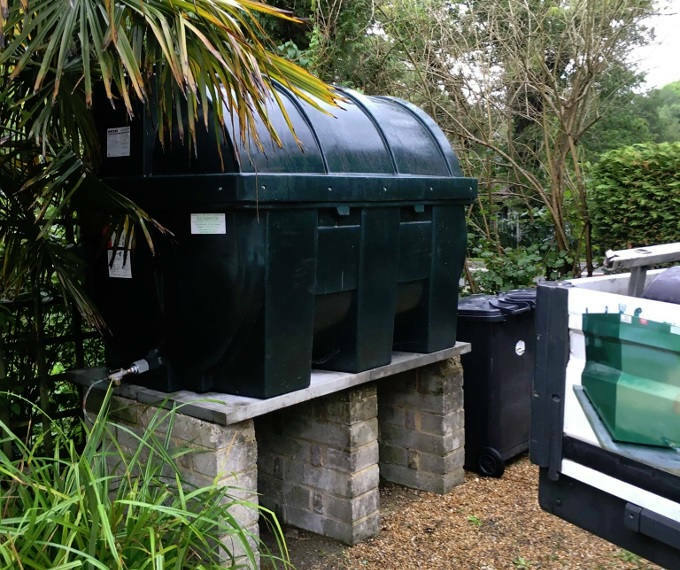 We also install these tanks on domestic, commercial, industrial and agricultural properties all along the south coast, from Portsmouth to Eastbourne (and further afield if you need). As OFTEC registered engineers, you can be certain that our installations and tank replacements are carried out to the highest standards, meeting all of the UK’s strict safety regulations and government guidelines. You can read more about our team here, check out some of our recent customer testimonials on Checkatrade or take a look at our FAQ section for answers to the most commonly-asked questions about oil storage tanks. Of course, if you can’t quite find what you’re looking for, simply give us a call and we’d be happy to help you. Now that the festive season is upon us, our team at SG Tanks would like to thank all of our clients for the busy year we’ve had, and wish everyone a happy holiday and the very best for the coming months. Since January, we’ve worked with lots of familiar faces and new clients, installing new oil storage tanks, replacing damaged parts and answering all kinds of questions that you’ve had. The team has been up and down the south coast, meeting with business owners and private homeowners to provide simple DESO tanks as well as building our custom steel tanks to provide total peace of mind. Hopefully, you’ve found us not only hardworking and professional, but also friendly and knowledgeable about the services we provide. Lots of people have been leaving positive feedback on our Checkatrade page and we’re always happy to hear about what we’re doing right – as well as any areas you feel there’s room for improvement! If you have any last-minute requirements before the cold weather fully hits, don’t forget that we’re always available. Whether you’re concerned about the condition of your tank or want to plan an installation for the New Year, give our team a call and we’ll be happy to help.